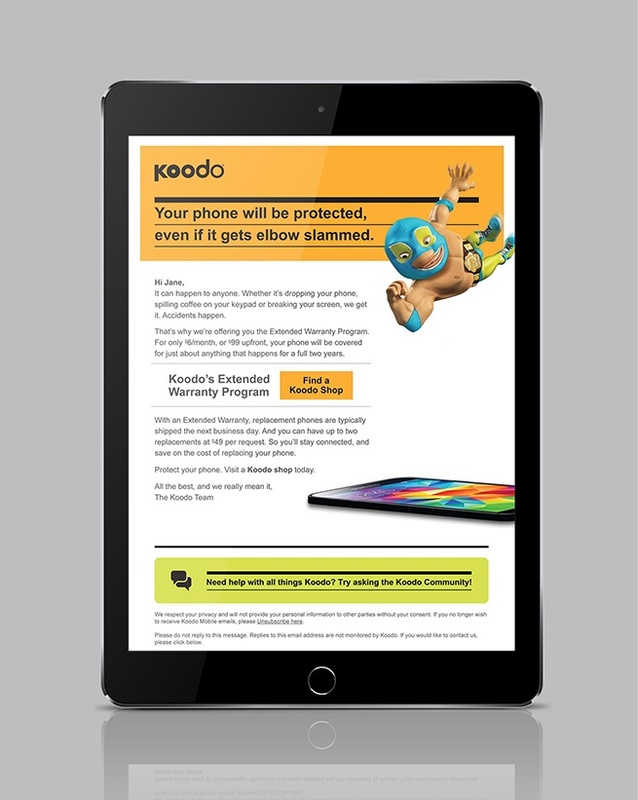 Koodo Mobile, one of Canada’s largest wireless telecommunications companies, wanted to achieve more with their email marketing efforts. They recognized that their email marketing platform was outdated and lacked capacity. Equally important, the ad-hoc process they were employing was leading to costly inefficiencies, and ultimately, lackluster results. 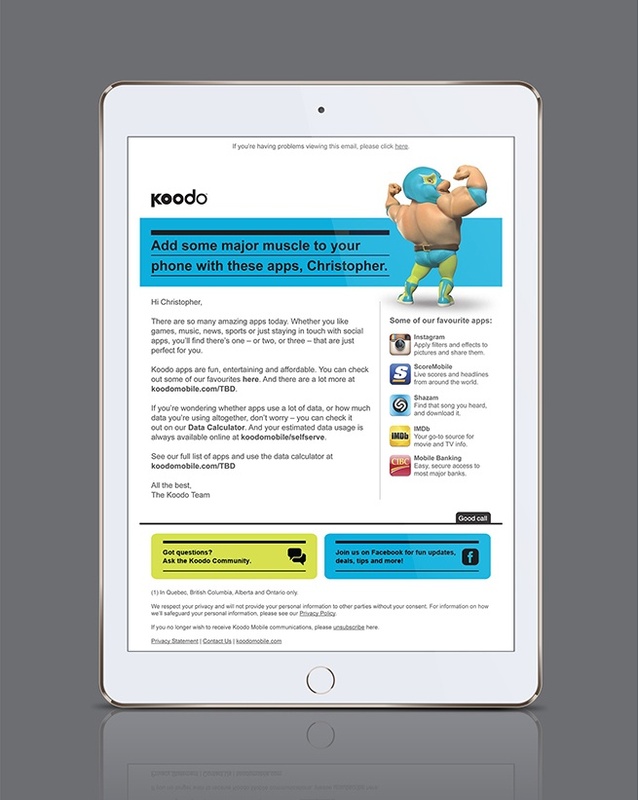 Koodo asked GET LIFT Agency to help the company better manage and improve the effectiveness of its increasingly complex email marketing with the end goal being to boost retention rates. GET LIFT Agency created a library of 12 versatile email templates. 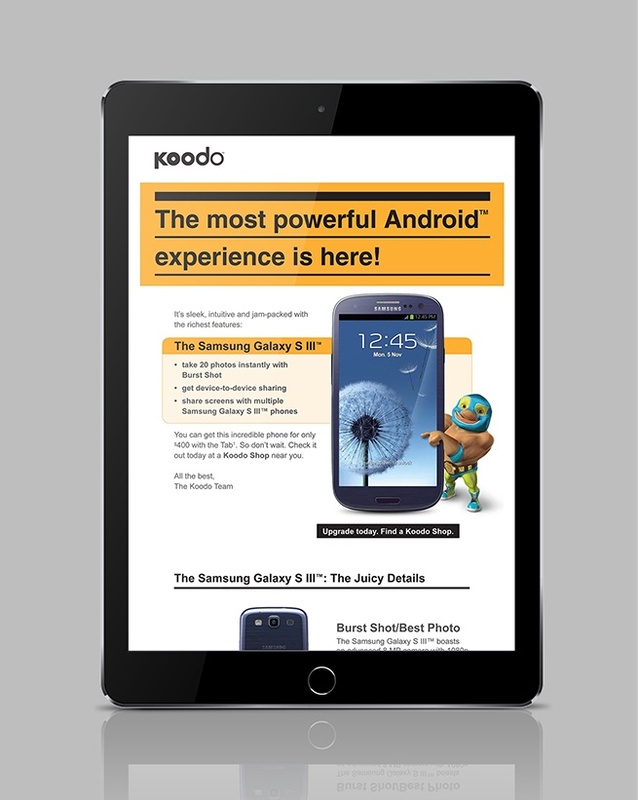 Each template featured elements that could be personalized, such as the headline, images and key messages. 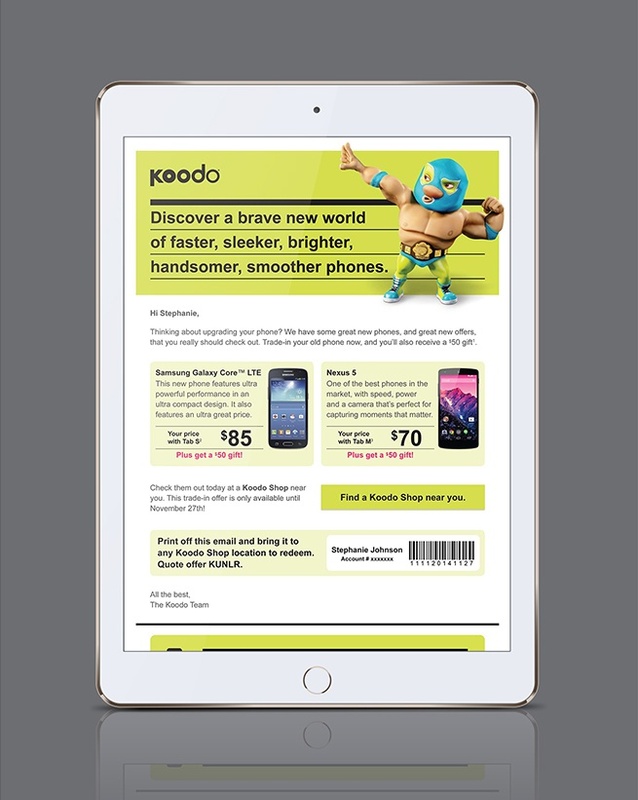 This degree of personalization allowed Koodo to finely target their email marketing. 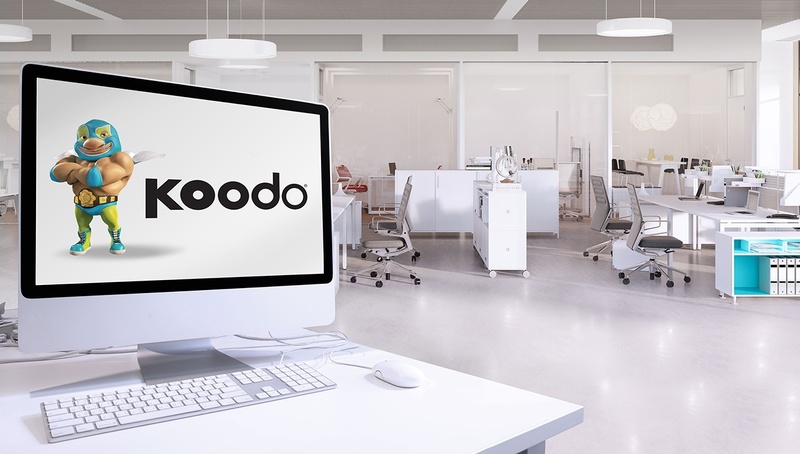 Over the course of a two-year period GET LIFT Agency deployed 60 campaigns per year and over three million emails on Koodo’s behalf. 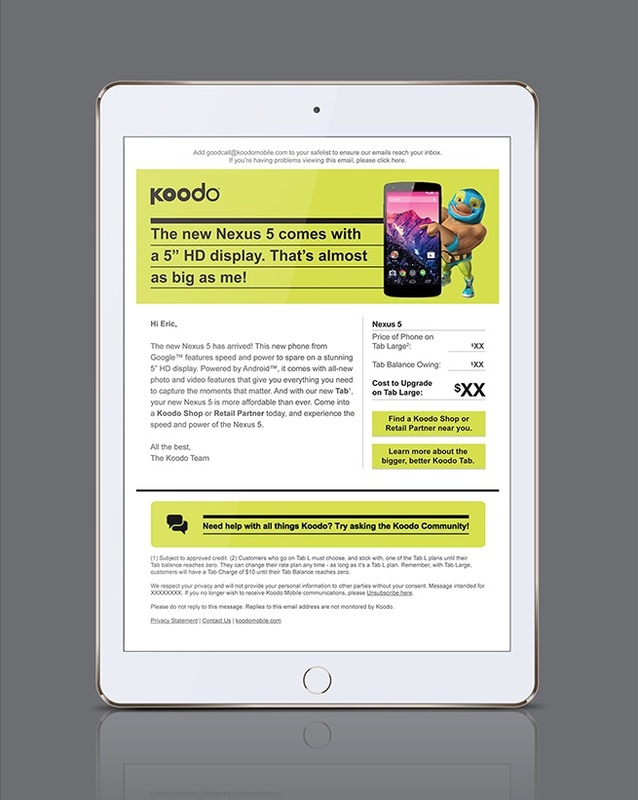 The bottom line, Koodo was able to conduct their email marketing much deeper and efficiently and, as a result, more effectively. 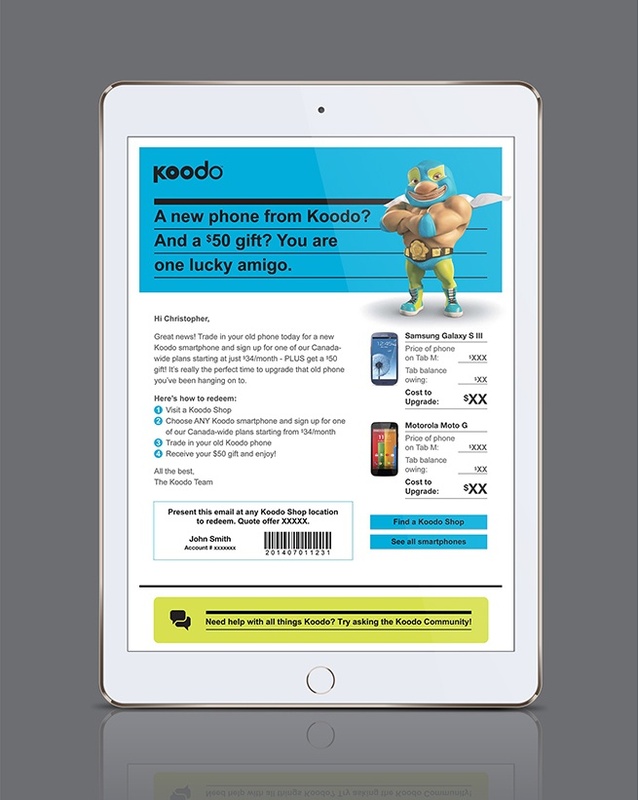 Over the course of a two-year period, GET LIFT deployed 60 campaigns per year and over three million emails on Koodo’s behalf. 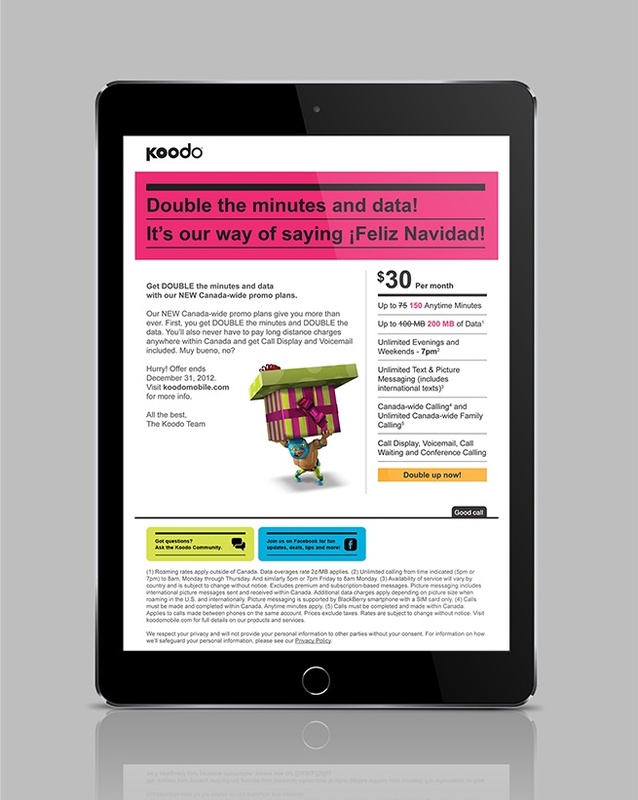 The bottom line, Koodo was able to conduct their email marketing much deeper and efficiently and, as a result, more effectively.